Khalid El-Amin was a Guard for the UConn Huskies from 1997 – 2000. He coined the phrase “we shocked the world” when UConn defeated Duke University 77 – 74 in 1999, becoming the National Collegiate Athletic Association Final Four Champions in the schools first final four appearance. In three years at UConn Khalid enjoyed many honors, among them being named Big East Conference Rookie of the year as a freshman, winning two Big East Tournament Championships, and simply being a Connecticut fan favorite. I had the pleasure of talking to Khalid in August 2010, as he reflected on his basketball accomplishment and memories. By the time Khalid was in junior high school he was playing on the junior varsity and varsity team of North High School in Minneapolis, Minnesota. When he reached high school he was a starter on the varsity team as their point guard and floor general leading the team to three consecutive Minnesota State Championships. “I was mainly the best player on a lot of my teams growing up. I’ve scored 40 points in games several times, a 50 point game one time, so I’ve always been a scorer, and a good player because I had the opportunity to learn more playing with my older brothers and older friends.” As a senior in high school he was named to the McDonalds All American Team and named Mr. Basketball in the state of Minnesota. 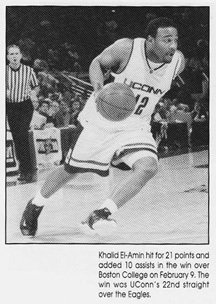 While at UConn during the NCAA Championship game against Duke, Khalid scored the final four points in the final minute of play. 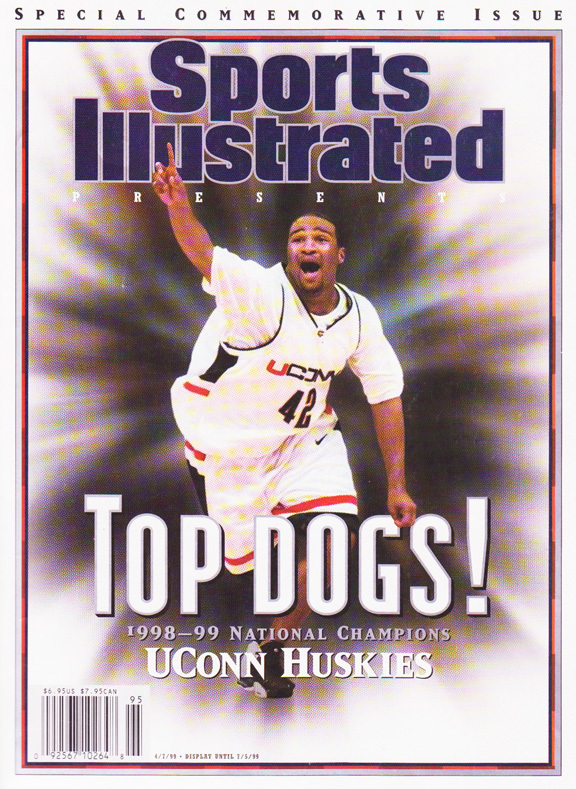 Among some of his accomplishments while at UConn were being Big East Rookie of the week, Big East Player of the week, being named to the 1999 Big East Tournament and NCAA Final Four All-Tournament teams, and All-Big East First Team. In his three years at UConn he enjoyed ten NCAA wins with a team record of 91 wins and only 17 losses. Other than the National Championship, there were some memorable games. “A game against Notre Dame, against Pittsburgh when I hit the last second shot, and a game against Stanford.” He was referring to the Pitt-UConn rivalry game when UConn was down by four with 11 seconds to play and won 70 to 69. The Stanford game UConn won 70 to 59 when Stanford was ranked #4 in the country and UConn’s star Richard (RIP) Hamilton was out with an injury. 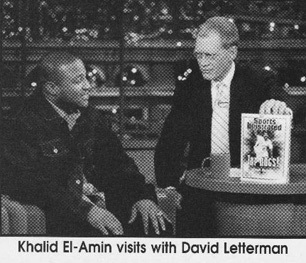 Next, Khalid began a career in Europe. “I’ve been Most Valuable Player (MVP) in five different seasons. While playing in the Ukraine for Azovmash Mariupol we won the Ukraine Championship twice.” Currently Khalid is playing for BC Lietuvos Rytas in Lithuania. Khalid has been married to his wife Jessica for 11 years and he has seven children.